If you are a fan of the Original Hoka Clifton, you may want to check out the Hoka Napali. It became available in early 2018 and is very similar to the original Clifton. The midsole and outsole of the Napali seems identical to the original Clifton. Perhaps the Napali feels a bit stiffer, but I’ve noticed a little stiffness variation between different pairs of the original Cliftons. So it may just be differences between manufacturing runs. The only major difference is the Napali has a padded tongue compared to the thin tongue in the original Clifton. This may be a plus to those that found the thin tongue in the original Clifton less than comfortable. The extra material in the upper makes the Napali a tad heavier than the original Clifton. The difference is about a half an ounce per shoe. These are size US Men’s 10, Euro 44. 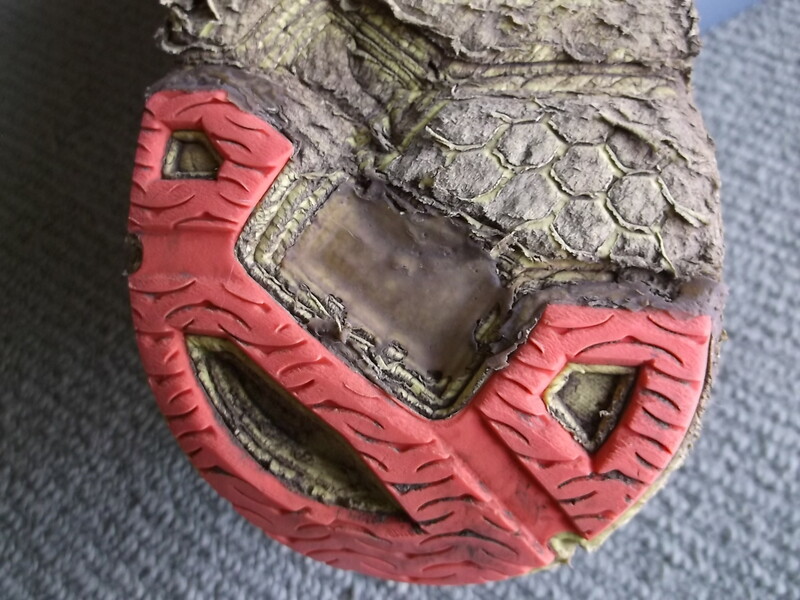 Although this example of the original Clifton has the heel cutout in the sole filled in with glue to add protection from rocks in this weak spot. 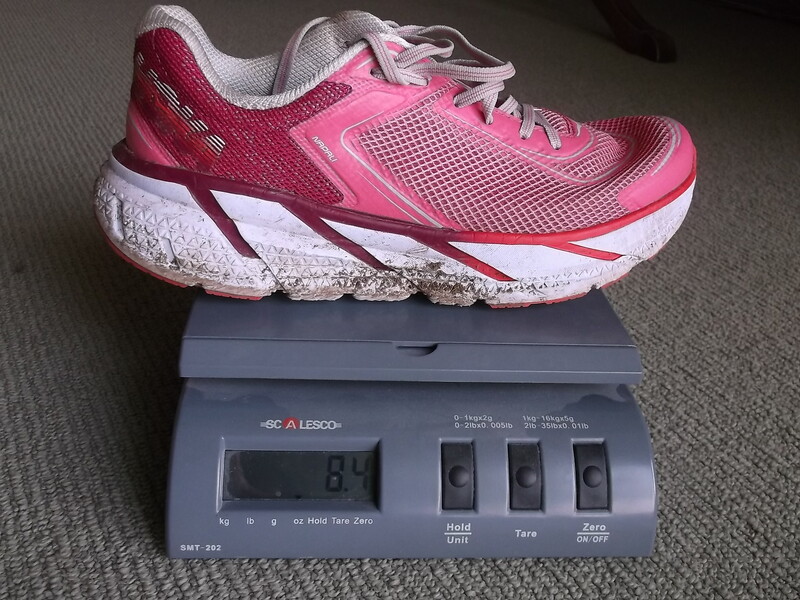 That may have added a fraction of an ounce as typically most size 10 Cliftons weigh just under 8 ounces per shoe. The only place, that seems to sell the Napali is Running Warehouse. They are available in both road and trail (ATR) versions. The Napalis worked well on the rugged rocky terrain and the near perfect conditions the 2018 Rut 28K had to offer. The only placed where they lacked a little traction was on dry loose pebbly dirt. 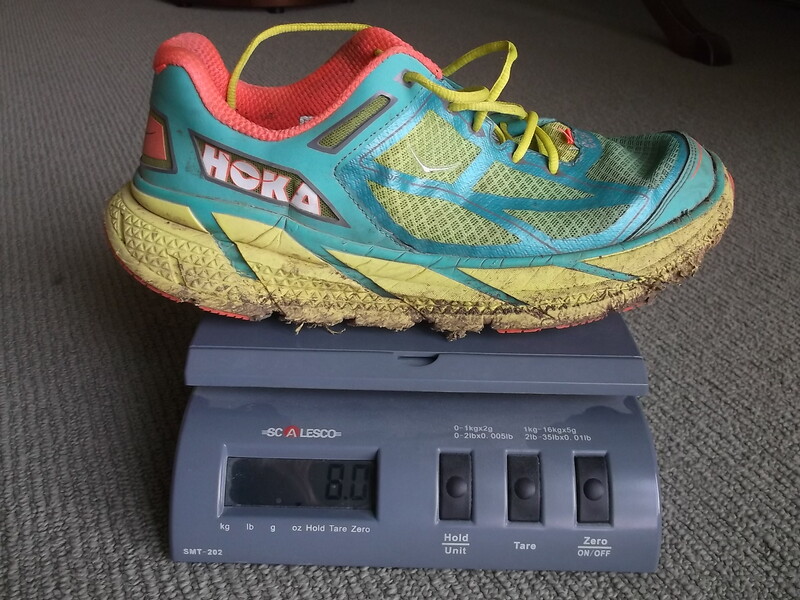 This entry was posted in Equipment, Shoe Reviews and tagged Clifton, Hoka, Hoka Clifton, Hoka Napali, Hoka One One, Napali. Bookmark the permalink.